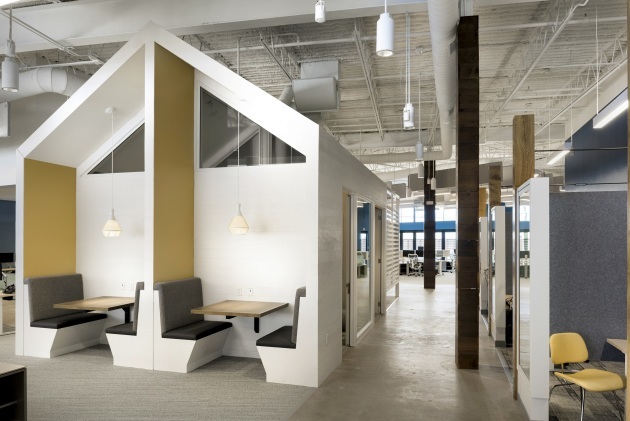 Marvin Windows and Doors incorporated many of its latest products into its remodeled offices in Eagan. It hosted an open house recently to celebrate completing the remodeling of around 20,000 square feet of space. The lightly colored space was redesigned to reflect the company’s Nordic heritage and showcase its products. An assortment of Marvin windows was used to create glass sidelights at individual work alcoves. Marvin’s large sliding doors were incorporated into conference and break rooms. 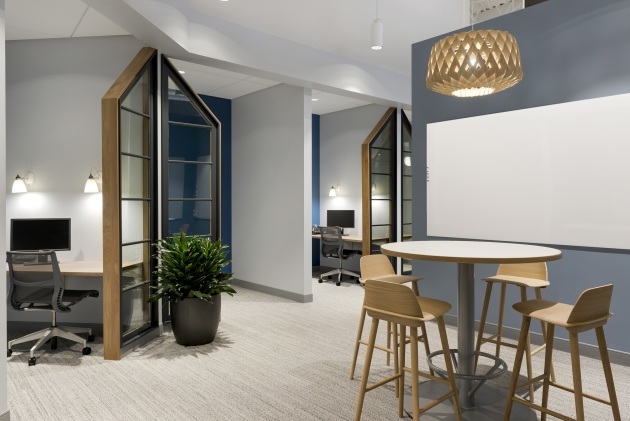 The office, located not far from Sibley Highway near Cedar Avenue, was designed by Shea Design with Greiner Construction doing the buildout. Marvin is still based in Warroad, Minn.